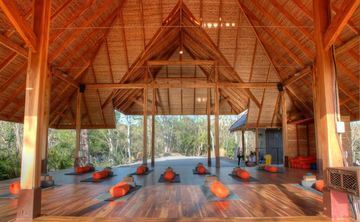 The Bodhi Tree Yoga Resort was creatively designed around nature, leaving the surrounding jungle as it was meant to be. We strived to preserve the jungle’s natural state leaving the impression that Bodhi Tree Yoga Resort has been here for many years. Solar panels are responsible for utilizing the sun to heat all the hot water needed for the facility. Bodhi Tree will always work towards being as environmentally friendly as possible. Being aware of our water usage is important in Costa Rica. Long dry winters use up the aquifers storage making it even more important for water management. Here at Bodhi Tree, we take this very seriously and every drop of water goes to use on our grounds. Bodhi Tree has built its own water treatment plant so no water is wasted. This water is used to irrigate the gardens keeping everything green without draining subcutaneous water supplies. We are very proud to be a plastic free facility. Along with our community we have taken an aggressive stand on keeping our environment clean and healthy. 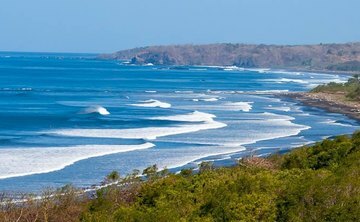 We encourage every guest to join us in doing our part in Keeping Costa Rica Plastic Free. Through education and consistent effort we are working to make Bodhi Tree a consciously green resort.